There are several lost towns and villages located inside present-day North Omaha. Over time, they’ve been annexed, absorbed and otherwise soaked into the fabric of the city of Omaha and largely forgotten. Only Florence and Benson have retained distinctive identities as dedicated former towns. The rest are almost wholly missing from the pubic record. 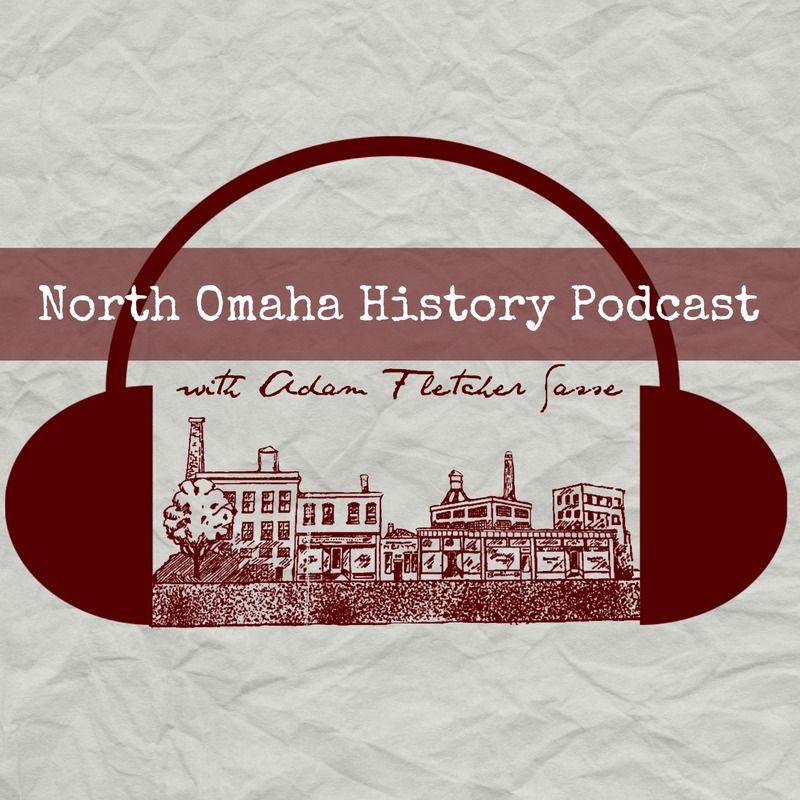 The lost towns in North Omaha are Briggs, DeBolt, Florence, Benson, Saratoga and East Omaha. Following are their short histories. An 1884 atlas map of the towns of Florence and Saratoga. It includes school district 21 (Ponca Hills); school district 32 (Briggs); school district 5 (Florence); school district 29 (Springville); school district 38 (Central Park); school district 49 (Beechwood); and school district 2 (Saratoga). As the Nebraska Territory opened to settlement in 1854, a series of speculative river towns were quickly established. At least two were within present-day North Omaha along the Missouri River, Saratoga and Florence. Both have interesting founders’ stories. The town of Saratoga was founded in 1854. Its bounded by the present-day Storz Parkway on the north, North Freeway on the west, North 14th on the east and Sprague Street on the south. A quiet neighborhood today, Saratoga was a hustling and bustling mini-burg early in its life. Built to rival Omaha City and established the same year, Saratoga once had its own dock town on the Missouri River called Sulphur Springs. Today, Saratoga’s historic landmarks have been largely obliterated, with no sign of Sulphur Springs still in existence. However, the past lays just under the dirt roads and powder brick buildings dotted throughout its landscape. Located north of Saratoga, the town of Florence was founded in 1854. Florence was bounded by Raven Oaks Drive on the west and the Missouri River on the east, I-680 on the north to Craig Street on the south. Its is the oldest neighborhood in Omaha, and one of the oldest cities in Nebraska. After the area was established as the Mormon’s Winter Quarters for their western excursion in 1846, it was re-established as a town by James Mitchell in 1854. In its early years, the town struggled to take the title of capital away from Omaha City, and even played host to an illegal Legislature held there one today. Today, it looks forward to a renaissance of business, social life and families. There are many historic buildings there, as well as other significant sites and stories to tell. The history of Central Park School goes back to the 1870s, when it was the school for West Saratoga. West Saratoga amounted to a school, at least one store, two churches and a group of houses that were mentioned repeatedly in the Omaha newspapers and elsewhere in the 1870s. Surrounded by farms and light development, it was a convergence zone where a wagon road west to Irvington met with another trail heading north to Briggs. In the early 1880s, this pseudo-village became known as Cherry Hill, then was renamed Central Park and platted as part of Omaha in 1886. This is a circa 1887 map of Benson Gardens and North Omaha courtesy of Sam Swanson and the Benson Historical Society. Some people were in the town founding business just to make money. One of the earliest in Omaha was Erastus Benson and his partner Clifton Mayne. Together, they speculated by buying a chunk of land from one of the Creighton brothers, platting lots and opening businesses, and flipping their land for jacked up prices. It worked! Benson Place was a village founded in 1887 by a land speculator named Erastus A. Benson. He was a banker and land speculator who ran a streetcar line all the way to his village northwest of Omaha. Soon after renamed simply as Benson, the area grew in leaps and bounds after 1900 by attracting residents with good land values and exclusive properties. Landmarks in the Town of East Omaha. This is an aerial map from 1931, and marked are some of the locations I know about. They are 1. the East Omaha Bridge; 2. Pershing School; 3. East Omaha Presbyterian Church; 4. Carter White Lead Company; 4. Omaha Box Company; 5. Eppley Airfield; 6. Harold’s Market; 7. Carter Lake. What’s missing? The town of East Omaha was located south of present-day Eppley Airport. It was actually established in 1854 and quickly annexed by Omaha City. However, an ignored backwater that wasn’t substantially populated until later, it was re-established during the 1880s. It was bounded by Avenue L on the north, the Missouri River on the south, present-day Abbott Drive on the west and the Missouri River on the east. Originally built as a company town for the railroads and later the East Omaha Box Company, the town of East Omaha was originally annexed by the City of Omaha in 1856, and then re-annexed in 1957. With many of its 2,000-plus residents working in nearby factories and other blue collar labor, the town was served by a school and two grocery stores. When a flood decimated the community in the 1950s, the City of Omaha absorbed it. The school was soaked into the Omaha school district. Today, all residences from the area are gone, and only the box factory still remains from the olden days. A 1914 map showing the extent of the village of DeBolt. Note the three rails converging at DeBolt Station from the CNW (Omaha Road) and the Elkhorn Road. Trains made towns. When the Union Pacific opened, speculative railroad companies came zipping through Omaha quickly, sharing lines, laying track and building towns along the way. A few were in North Omaha. The village of DeBolt was established in 1890, and its post office started in March 1892. Bounded by Whitmore on the south and Craig on the north and North 57th on the east to North 64th on the west. DeBolt was home to the Springville School, a church, and the DeBolt Station on the Omaha on the Chicago & Northwestern Railroad. Also called “De Bolt Place”, it had a stockyard that shipped regularly and several houses, but apparently had no businesses. The village of Briggs, Nebraska was located at North 53rd and McKinley Streets. Established in 1885, the village of Briggs was a layover between Florence and Calhoun. With a post office established in April 1892, Briggs was named in honor of local judge Clinton Briggs who was also former mayor of Omaha. Briggs was also one of the incorporators of the Omaha and Southwestern Railroad. Located between Garvin Street on the south and Highway 36/McKinley Street on the north, from North 53rd on the east to North 64th on the west. Briggs added a post office in 1892 that was open until 1913. The Chicago and Northwestern Railroad went through it, and there was a school there as well. It may have been known as Mannering as early as 1870, too. It was a small railroad flag station northwest of Florence, and did not appear on the regular time tables from the railroad company. There were only an occasional train stops there for passengers, and freight was shipped regularly, and now the village is completely missing. The Briggs post office closed in 1913, and only the streets of the village remain today. I began my search for North Omaha’s missing towns more than a decade ago. I hunted down names of schools, found old churches and looked for anything amounting to settlements throughout North Omaha, which I regard as anything north of Dodge and east of North 72nd Street. Since then, I’ve discovered names like Beechwood, West Saratoga, Cutler’s Park, and Springville. Maybe those are North Omaha’s missing missing towns? I’ve discovered that Cutler’s Park amounted to less than 2,500 lost souls looking for a good place to live – for less than three months. Surely, they had roads that were loosely graded, blocks designated, a school, a store and other places necessary for settlement, but the Mormons encamped here were forced to move just 12 weeks after getting there. When they abandoned the area, they left no marks. It eventually became part of the Brandeis family’s summer escape called Arlena Lodge. Today, there’s a memorial for the settlement just north of Young Street on Mormon Bridge Road. After researching Beechwood for all these years, years, digging through reams of the Omaha World-Herald and the Omaha Bee, I’m willing to say now that Beechwood was no more than a school that was moved there which was originally located at East 14th and Fort Streets. It was moved to JJ Pershing and Read Street in the 1920s, and merged into OPS in 1948. There are aerial photos that clearly show no town in the location given on Wikipedia and other modern maps. There was a community north and west of Florence called Elkhorn Junction that had its own railroad station on the Chicago and North Western Railroad. Finally, Springville was an alternate name for DeBolt that never took off. Briggs—Located at N. 53rd and McKinley, the only signs of the former village are the streets that follow the 1883 street grid laid out here. DeBolt—Located at N. 60th and Girard, Springville School was originally built for this village. There are several pre-1900 in this neighborhood, too. For more info, read A History of the Town of DeBolt, Nebraska. Florence—The original 1846 Winter Quarters Town Square is now called Florence Park, and is at N. 30th and State. For more info, read A History of the Town of Florence, Nebraska. Benson—Founded in 1887, the downtown starts at N. 60th and Maple St. Benson includes the Benson Acres and Benson Gardens. For more info, read A History of Streetcars in Benson. Saratoga—Established at N. 24th and Grand Ave, this town wasn’t built to last when it began in 1854, but the neighborhood has survived. For more info, read A History of the Town of Saratoga, Nebraska. What are the cities & villages you’re speaking of? They’re all towns and villages: DeBolt, Saratoga Springs, Briggs, Florence, East Omaha and Benson. They’re all between the river and N. 72nd, from Locust north to the Ponca Hills. I explore all SIX of them in the article Sherese – check it out above! Loved reading these articles. I lived in Omaha for nine years. Loved the city. Love to read history. You did a great job. Thank you, Adam. Your history lessons are AMAZING. I appreciate everything you do.